How is it basically the end of May already? With so many public holidays this month in France (four to be exact), the weekends feel longer than the weeks lately. This year, each jour ferié seems to fall on either a Tuesday or Thursday, and when that happens, the French like to faire le pont by taking Monday or Friday off as well. Three four-day weekends in one month? Sounds like a good plan to me. If there's one thing the French know how to do well (besides food), it's profiter de la vie. Meaning enjoy or make the most of, this French expression doesn't quite translate in English but if you've ever been here, you've probably heard it used liberally. Watch the news and the weather person will tell you to "profitez du beau temps." Before you leave for vacation, coworkers will say "profites de tes vacances!" My dad declared this as one of his favorite French expressions when he was here and I have to say I agree with him. Now that May is coming to an end, I find myself already looking forward to the next big vacation month around here: August. Like last year, I'm going home to Minnesota for a wedding. Because as any Minnesotan knows, August is one of the few months you can be 99% sure it won't snow. Sounds like an exaggeration but there was a massive snow storm at the end of April (April!) while my parents were in town. Every time I go home, my mom always asks me “what do you want to eat?” This usually starts creeping into conversation a good six months ahead of time and ramps up the closer we get to the actual visit. When I went back last January, after a week straight of bar food from work happy hours (burgers, nachos, artichoke dip, repeat), I was happy to eat at home. One of my requests? Fried fish. I definitely got my Minnesota food fix while I was home: fluffy waffles doused in maple syrup from Somerskogen Sugarbush for breakfast, bowls of chicken wild rice soup for lunch, and, bien sûr, a pile of fried fish for dinner. 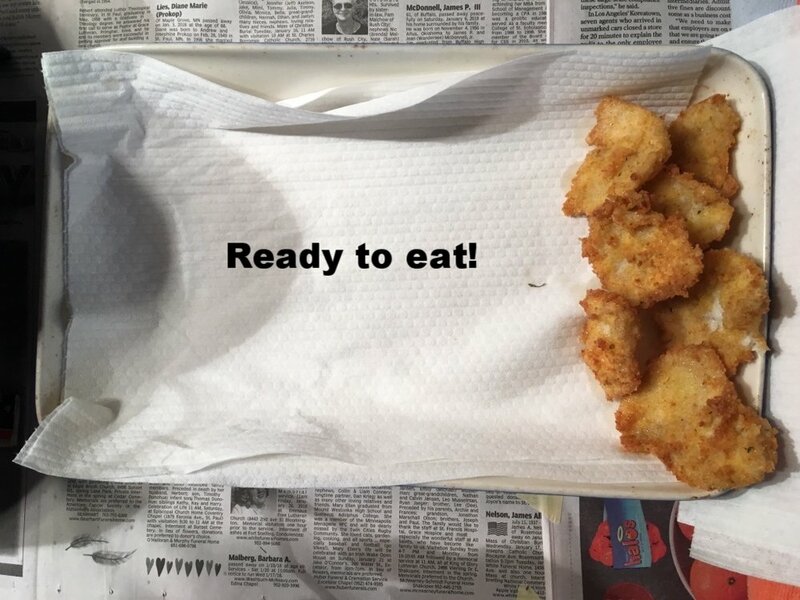 After years of watching my dad make his famous fried fish (and my Grandpa Vern before him), I decided to document the process a little more closely. Click through the photos below to see the process step-by-step! 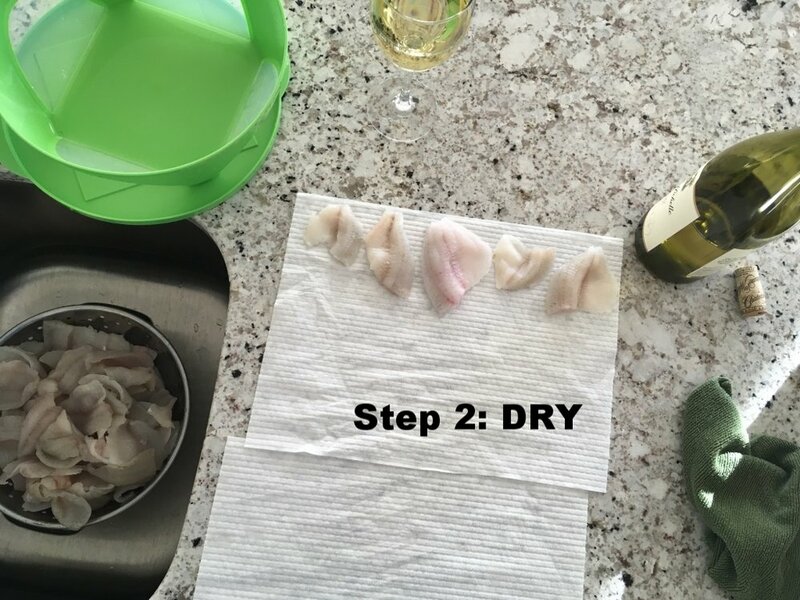 Rinse fish filets and pat dry with paper towels. Whisk eggs and cream or milk until combined. Crush Saltine crackers in a plastic bag, add salt and pepper. 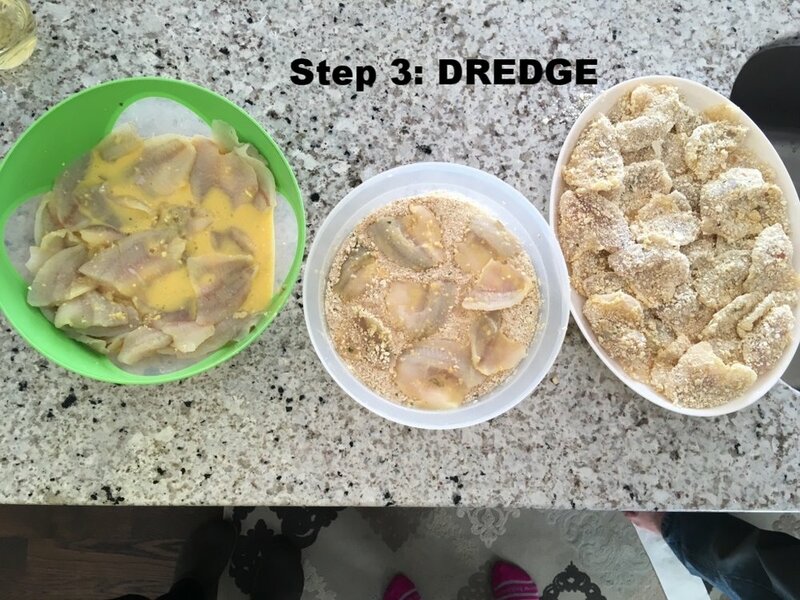 Dredge fish through egg-milk mixture, then through seasoned crumbs. We always fry the fish out in the garage on my Dad's newspaper-covered workbench just because it can get a little messy. I was thinking about how I could recreate this is my teeny tiny Parisian kitchen and I think I could make it work with a frying pan and a little less oil. Make sure you watch the fish and flip after a few minutes. 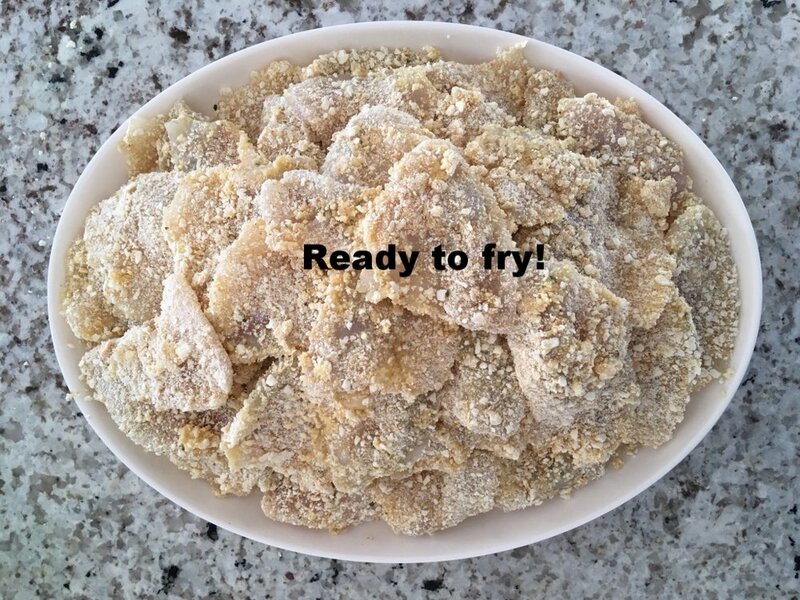 Be careful not to add to many filets at once - just enough to cover the surface of the pan or fryer. Place on a paper towel-lined dish or plate to soak up the grease. Serve with a side of tangy cucumber tomato salad and some buttery corn on the cob. When I was a kid, I loved dipping my fish in ketchup and ranch dressing. Since then, I've added Dijon mustard and tartar sauce to the dipping repertoire. The more condiments the better, right? Bon appétit! I hope you enjoy this recipe as much as my family does.